Tell me, please, when was the first time you grabbed the needle and decided to make an unplugged tattoo, what prompted you to do it? It was about 3.5 years ago. And I was tempted by a buddy dorm. Total spontaneous, I had no idea what I was doing. 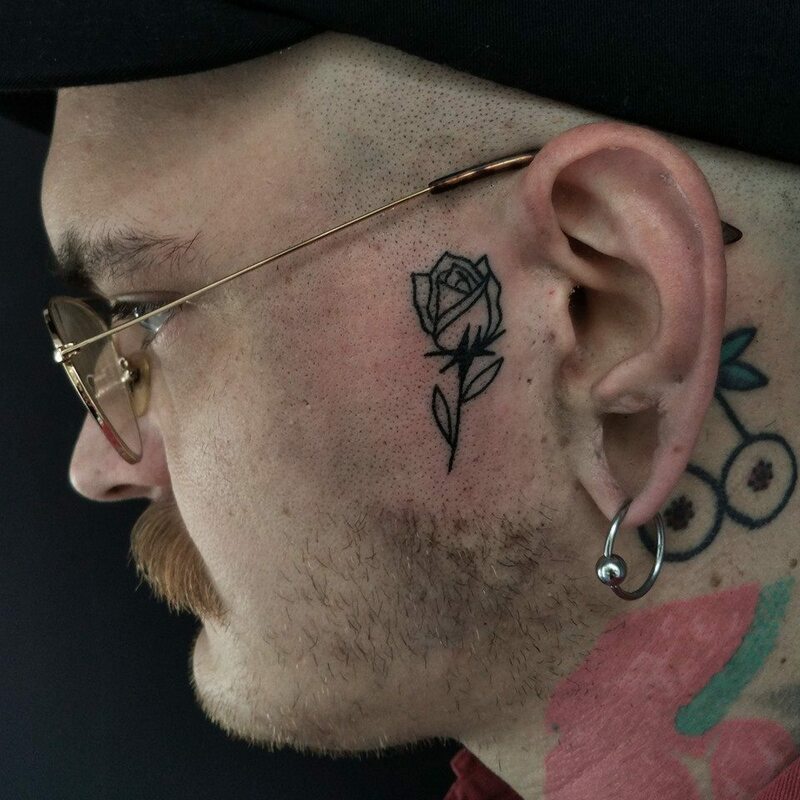 Before you started doing hand-poke, did you have any prior experience with tattooing using an electric machine? No, I’ve always used a needle from day one. 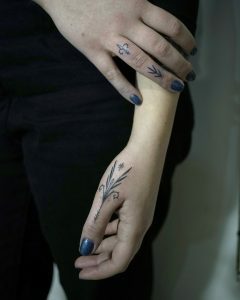 Hand-poked tattoos are probably one of the most popular tattooing trends. I have the impression that many people think it’s an incredibly difficult technique. On the other hand, there are those who think it requires less talent – the patterns are simpler, often just outlines and the scale is much smaller. Additionally, to those thinking in that manner, someone interested does not have to invest much money into equipment. But how is it really? I think you are the right person to ask. 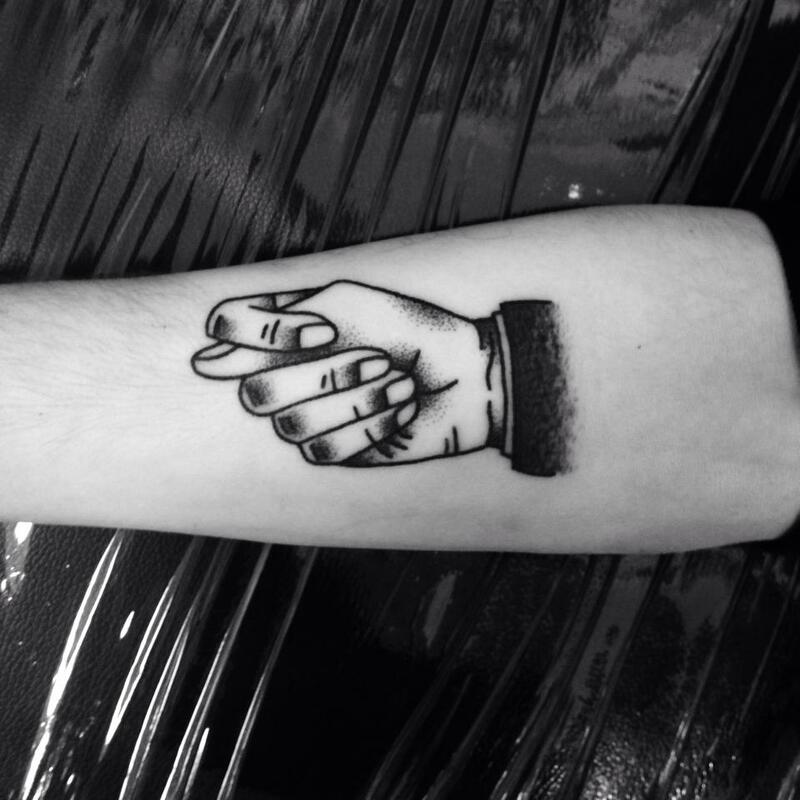 In recent years yes, the number of people doing hand-poked tattoos has increased by about a thousand percent. When I started to take my first steps, I heard of two others in Poland – I heard about two, I did not say there were not more. 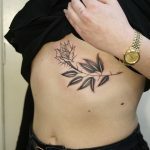 As far as the technique is concerned, I’ve seen first timers creating cool designs, people working really hard to get their tattoos to look solid, and then there are those who after several years still do terrible beets. It’s different for everyone. Technique and execution is an endless topic, there’s always something to learn. There are many ways to get a good contour, same goes for good filling or shadows. 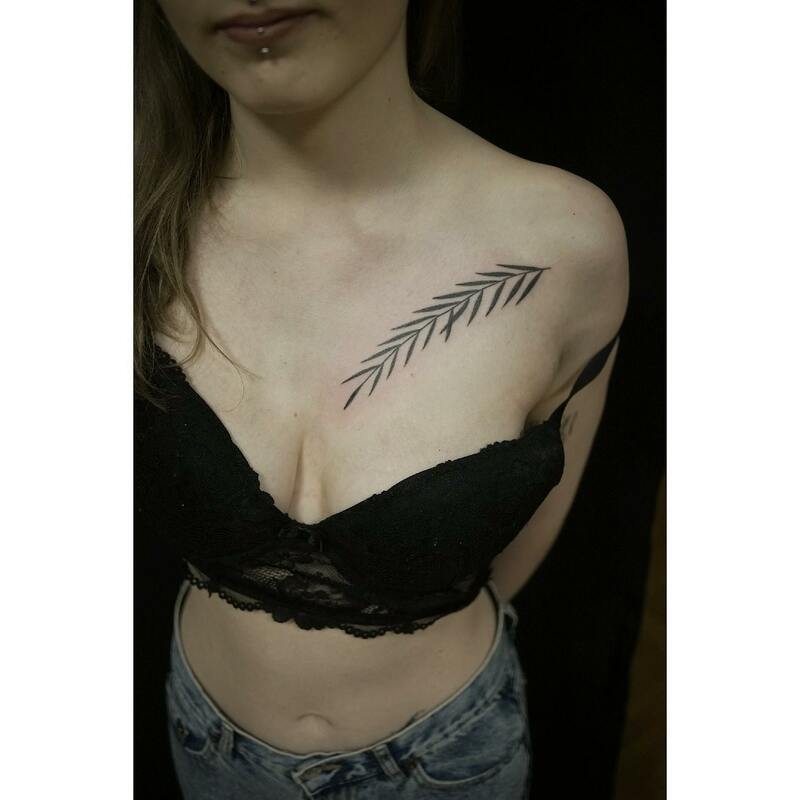 Every now and then I find that one of the tattooists I’m interested in makes the outline completely different to my method, using different needles or from different angles. It’s said that it’s always worth investigating something further, but I must admit that until I encountered your work, I did not expect much from hand-poke practitioners. 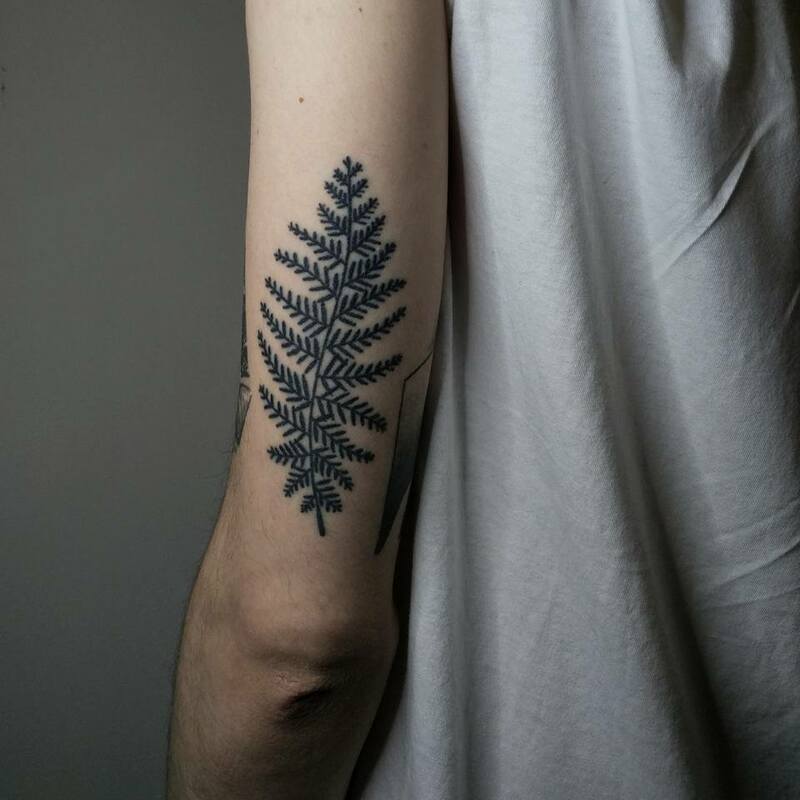 I was convinced that it is unrealistic to work without electricity so I thought it impossible for a hand-poke tattoo to look as good as an electric made one). I thought the single dots would be blatant, sometimes forming together, but never creating a pure line or well-shaded area. 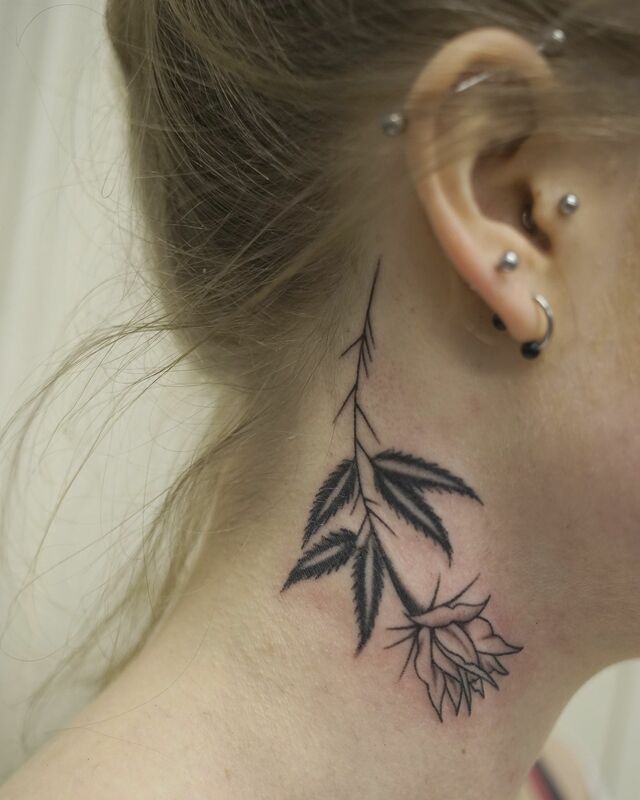 I remember the first time I saw you working in person, I could not believe it wasn’t made with a tattoo gun. I won’t mention the perfect districts… How do you do it? 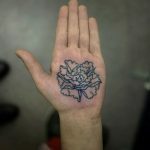 How much time does it take to achieve that level with a needle, and what are the most important things to keep in mind practicing this craft? I’m very pleased with that! 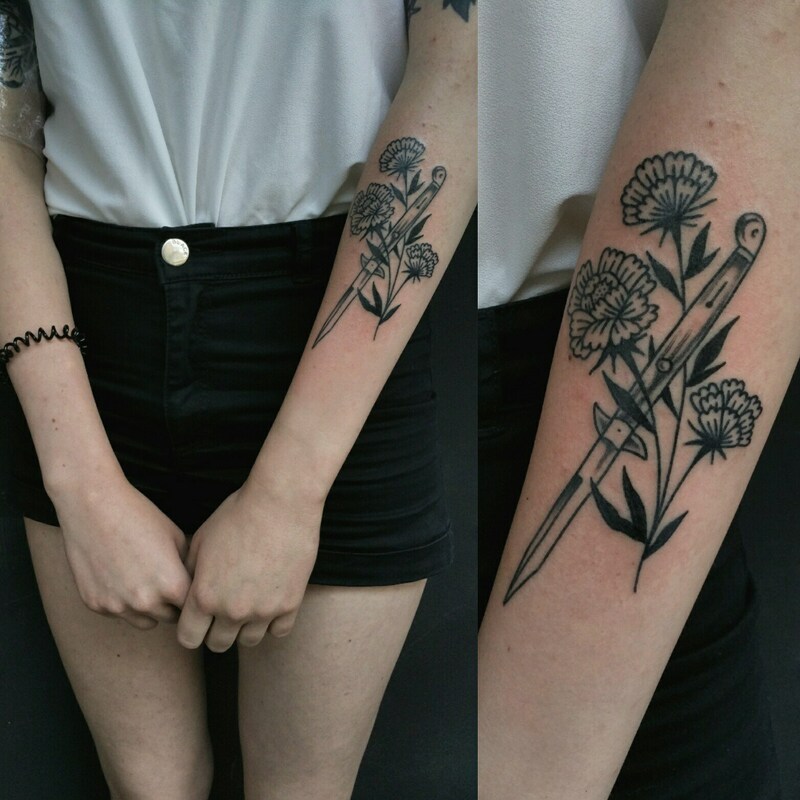 Well, unfortunately, in Poland, stick poke is commonly associated and tagged by younger people as “ignorant”. 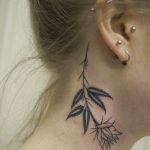 But for example in Japan, there are many tattooists who do all of their work without a tattoo gun and they are super well-made tattoos! It’s hard to say how much time is needed, you learn through your whole life. Patience is very important. I owe a lot to clients who trust me and are always open to my new ideas! 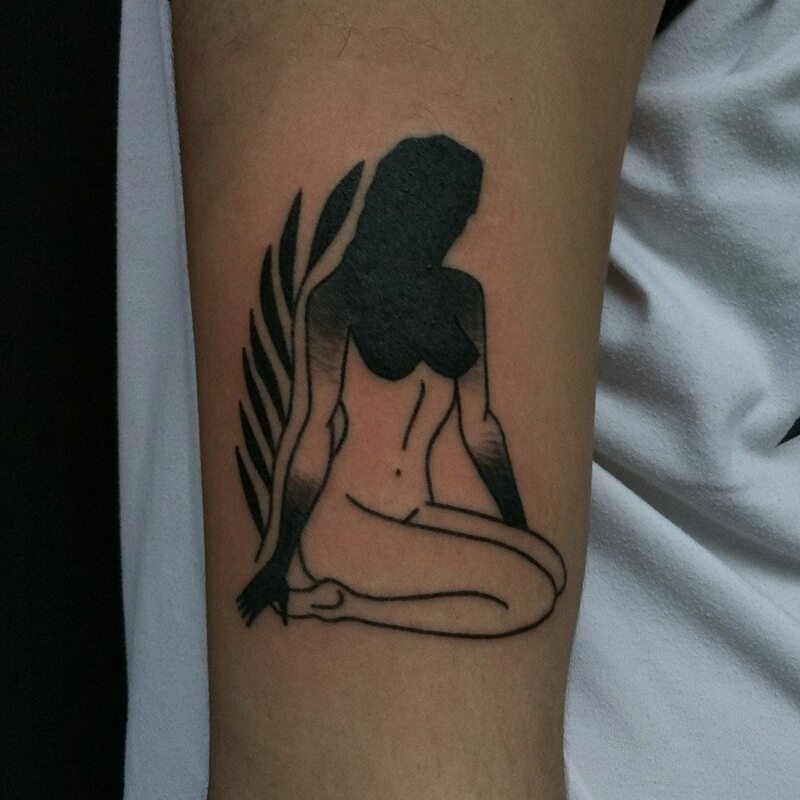 So it’s like if I start to tattoo more hair on women and other kinds of shadow – I’ll figure out some muck in the technique that I want to use in this way. When the kids without talent are referring to works like yours as ignorant, it’s just irritating and putting a downer on this particular trade. 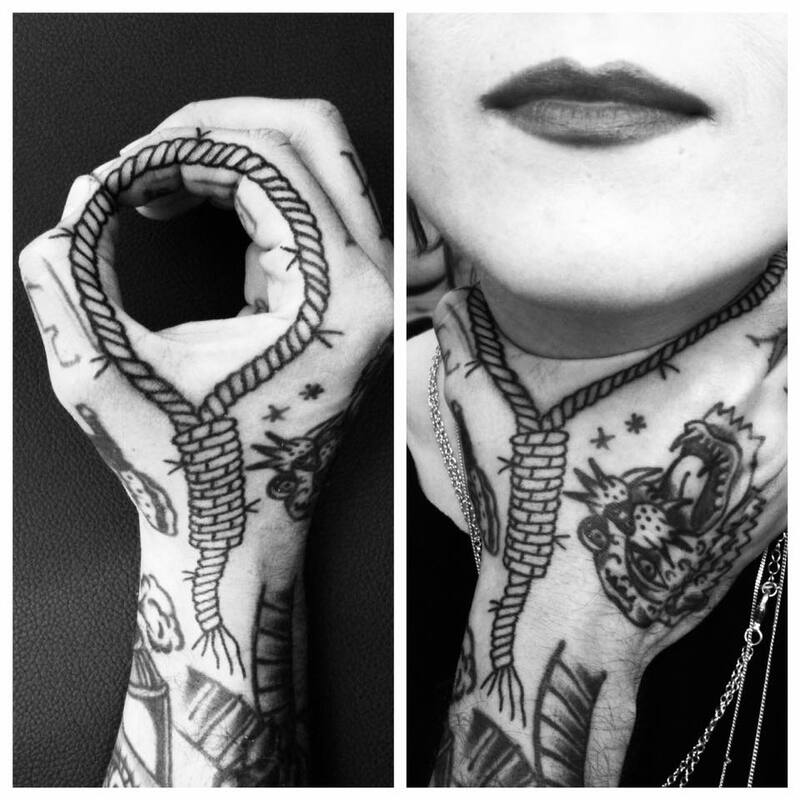 Coming back to you, I have heard various things about hand-poke. Some are adamant it is more painful than the tattoo gun, with many others holding the exact opposite belief. That aside, it’s undoubtedly a time-consuming technique. 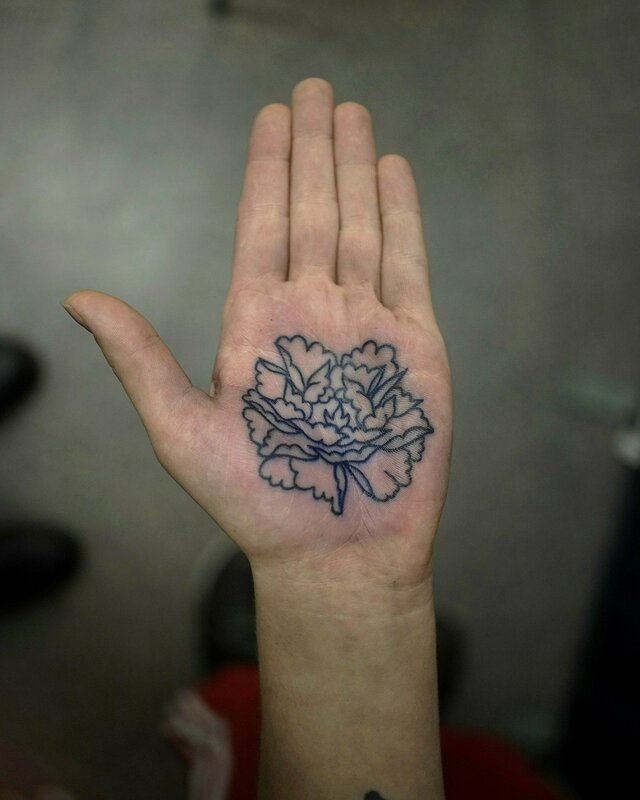 How much do you need to do a palm-sized tattoo? It’s definitely a different type of pain, but 99% of my clients say that it hurts less than an electric machine. 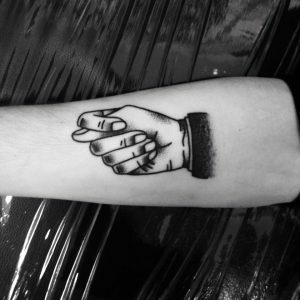 Timing wise, it all depends on the amount of detail in the design and of course, where on the body. I’ve been sitting for two hours doing portraits lately, things less complicated I can do in little over an hour. Well, this is a surprisingly short time. I expected at twice that time. Forgive me if this next question is silly, but I’m very curious. What is more difficult to execute – a simple, undisturbed line or perfect shading? It’s not silly, I don’t know though. 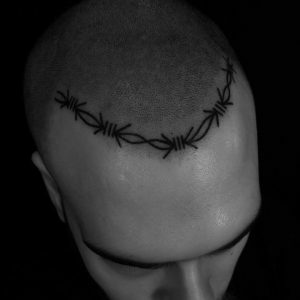 It depends on the area, but a simple line is probably the easiest thing to hand-poke. The worst being circles. Your work moves from the traditional style – often very graphic – and the “righteous” old school works, at sea or in prisons when there was no electricity. What motifs do you like to tattoo the most, and which in turn are the biggest challenge for you? It’s always changing, every now and then I’m really into something, but there are also things I do not like doing. Everything can be fun though. 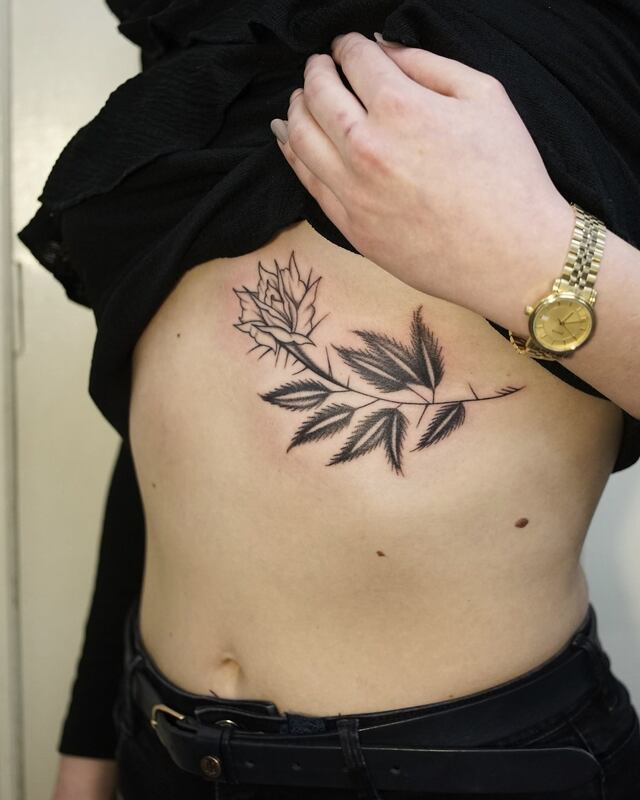 The challenge is instead tattooing new places on the body, not new designs. 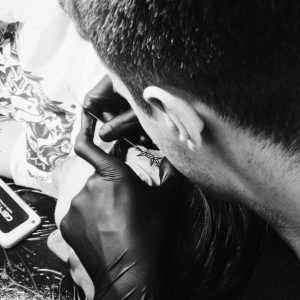 When tattooing, you need nothing but ink and needles. You don’t have to worry about the machine, power supply, pedal, electricity etc. So it makes sense that this technique gives you real freedom. Apart from possible sanitary issues, keeping that in mind you can work practically everywhere. What are the restrictions? 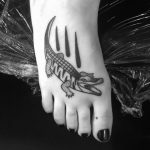 Which obstacles do hand-poke artists encounter? What can’t you do with this technique? When creating designs, do you have to consider the limits of the technique? That’s a great question. 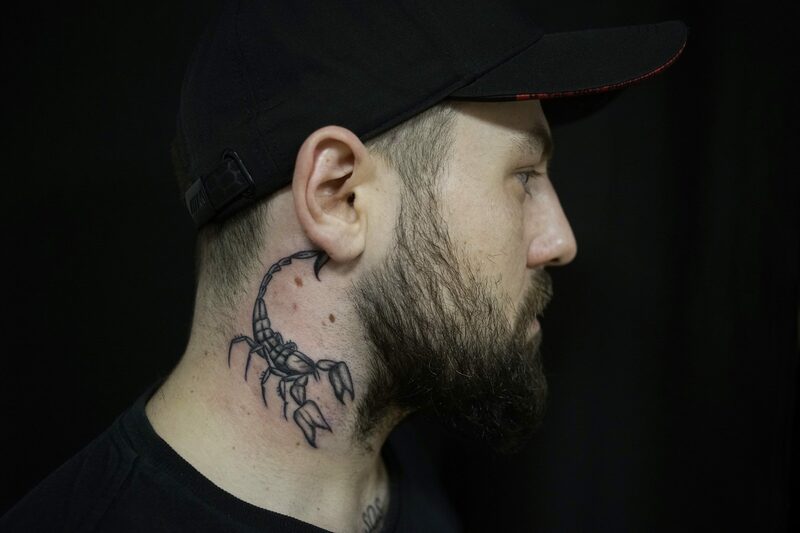 At first, drawing, I really had to think about how I would tattoo. I had certain patents that helped me later in this motif. But now it is quite the opposite. The longer I do it, the more I am convinced that there are no limitations in this technique. I even try to figure out types of shadows that will easier to achieve without a machine. And how does colour work? There are practically no colourful designs, although some can be found in your portfolio. Is there a difference between using colour and black? I have never drawn in colour, so I only add colour at the customer’s request and only if it makes sense. The difference is, some coloured inks are much thicker than most blacks, it can be harder at first but everything is possible to do. 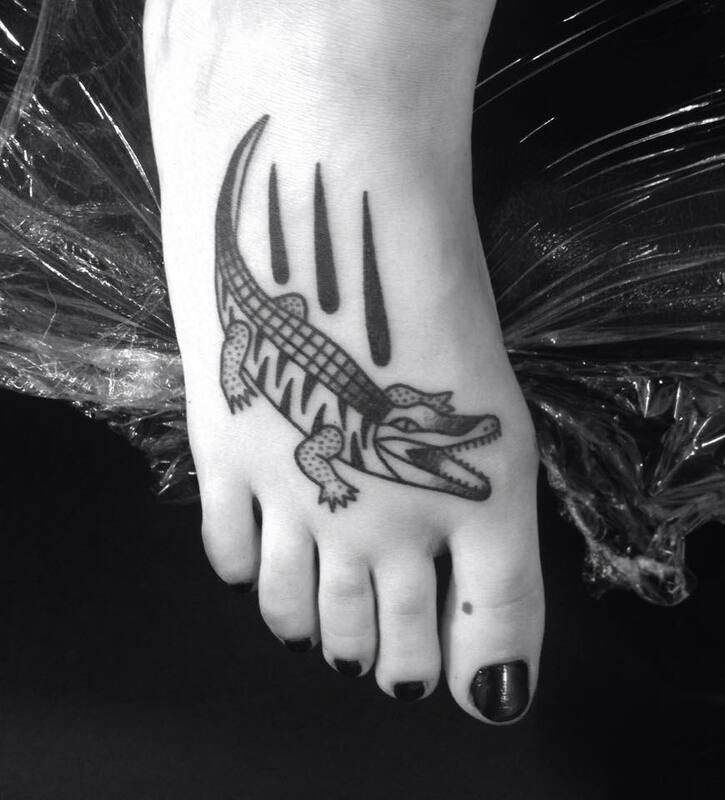 There are several tattooists who basically only do colourful hand-poke. Many “electric” tattooists, with varying levels of success, have tried to go “unplugged” for a change – a break, even. What about you, are you ever tempted to pick up a machine? Never. I’m not saying that I will never try but for now, I still see a million things to learn using this technique.